Get your guests ready to celebrate your new beginning with our sweet Mason Jar Wedding Invitation. 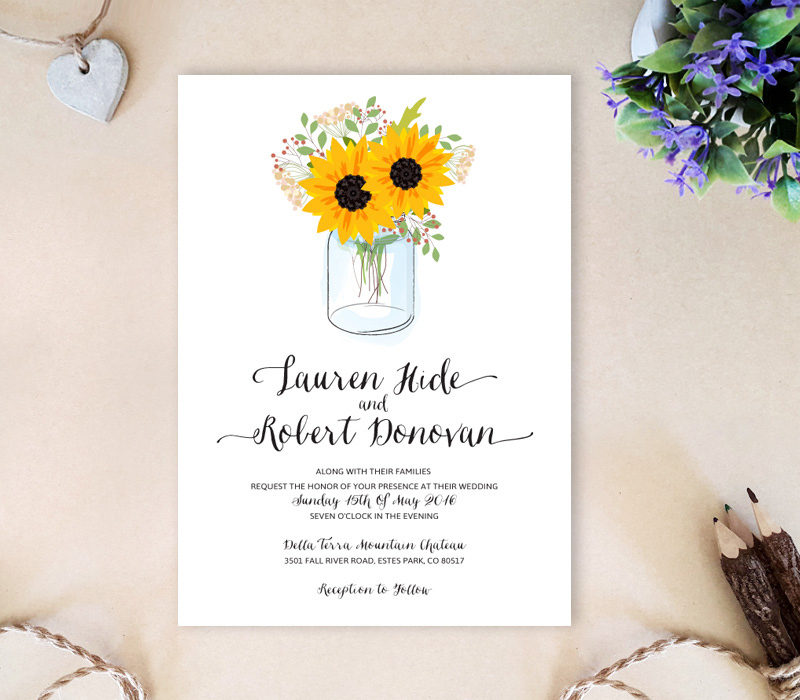 Adorned with sunflower filled mason jar, our cheerful wedding invites will inform guests all about your upcoming nuptials. Each of our mason jar invites are printed on white premium card stock and features lovely calligraphy.